Having a graduation party or celebrating the holidays with your extended family can be one of the best times of the year. The aroma of a home cooked meal family and friends visiting from out of state, but where is everyone going to sit and enjoy their meal? How are 20 family members going to fit at your kitchen table? 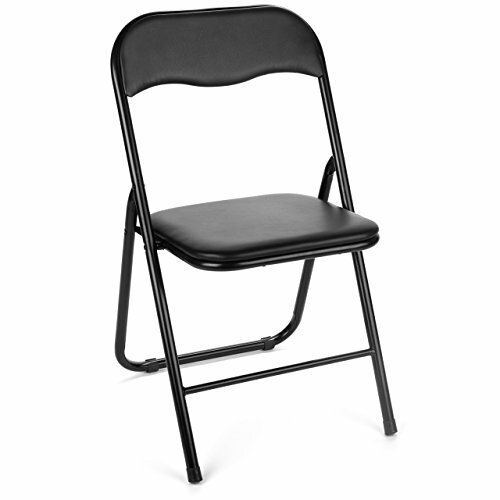 Leave that concern to Red Leaf Furniture order our economical 4-pack of folding chairs today and be prepared for your next party or holiday meal. Give yourself the ability to set up for a party in a matter of minutes with folding tables and chairs. Better yet when the celebration is over each chair folds up and can be stored simply in your basement or garage. Red Leaf Furniture's Vinyl Folding Chairs are the perfect match for your next party or gathering. Pair that with our superior customer service and warranty program and you have a perfect combination. ✓ HEAVY DUTY STEEL - Tubing on every chair supports a 240lb capacity rating. If you have any questions about this product by Red Leaf Furniture, contact us by completing and submitting the form below. If you are looking for a specif part number, please include it with your message.